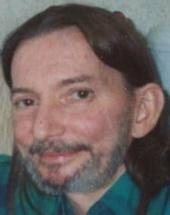 WATERLOO - Gregory John Boyenga, 58, of Waterloo, died Friday, Jan. 15, at Ravenwood Nursing and Rehab Center of complications from diabetes. He was born March 6, 1951, in Waterloo, son of Arlyss E. and Mildred I. Heerts Boyenga. He graduated from West High in 1970. He served in the U.S. Army as a medic and worked at Ravenwood Nursing and Rehab Center for the past 27 years as a certified nurse's aide. Survived by: his mother, Mildred (Robert) Craford of Melbourne, Fla.; two sisters, Marlys (Jerry) Johnson of Easthampton, Mass., and Laurel (Craig) Swainston of Caballo, N.M.; a brother, Phillip (Janet) of Waterloo; and nieces, nephews, aunts, uncles and friends. Preceded in death by: his father. Graveside services: will be later this spring, with burial in Waterloo Cemetery. Locke Funeral Home is in charge of arrangements. Memorials: may be directed to Ravenwood Nursing and Rehab Center or Cedar Valley Hospice.